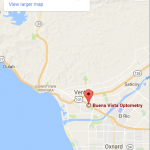 Hi there, this is Dr. Bajwa from Buena Vista Optometry in Ventura, California. I wanted to talk to you today a little bit about some new research that’s come out regarding marijuana and eye pressure. It’s been a common question from a lot of my patients as to whether or not marijuana can help with their glaucoma or help manage their glaucoma. We’ve known for years that tetrahydrocannabinol or the THC that’s in marijuana, the psychoactive ingredient does have an effect on the pressure in the eye but the real question was, it ever good enough to be considered an adequate adjunct to our glaucoma therapy. A recent article in the investigation and journal called the investigative ophthalmology and vision science December issue recently actually reported that a topical form of tetrahydrocannabinol or THC was found to be very effective in dropping the pressure for about eight hours and a lot of patients, but interestingly it was more effective in male patients than it was in female patients. Additionally, one of the other ingredients of marijuana cannabidiol or CBD which is also getting quite popular now with the legalization of marijuana here in California was unfortunately found to be an antagonist to THC and actually prevented the pressure decrease that THC was able to provide. The reason I mentioned this again is we have a number of patients who are usually inquiring about whether or not marijuana can be used as an adjunct therapy to their glaucoma medication regimen or if it’s going to be preventative for them and unfortunately depending on what method or mode of marijuana consumption you utilize there’s potential that it could be beneficial it could also be detrimental to the beneficial effects of some of the other ingredients. Lastly when we talk about glaucoma our primary goal of treatment is to lower the pressure in the eye and by lowering the pressure we can help minimize the amount of damage that might be occurring in the back of the eye it is important for you to let your optometrist or ophthalmologist know if you do utilize marijuana for your many aches and pains or what have you because it can affect the pressure readings that we get that can affect the management that we provide for you. If you have a family history of glaucoma, if you are nearsighted, if you are Latino or African-American or if you’re over the age of 50 it is certainly recommended to have your eyes checked because there’s a higher likelihood of developing glaucoma in those specific groups. Again, this is Dr. Ranjeet Bajwa from Buena Vista Optometry. If you have any questions or concerns about your eyes you can always reach me on twitter @DrRajBaj or online at https://www.buenavistaoptometry.com – Take care and talk to you soon. Learn about how we Treat Macular Degeneration in Ventura, CA.